Many homes in America today have trampolines in the backyard. Trampolines are lots of fun for young children, but these fun contraptions can sometimes result in serious injuries for young users. Over the past few years, there has been a spike in trampoline related injuries. So, do trampolines lead to a higher chance of a visit to the emergency room? Are at home trampolines different than trampoline parks? And is it safe to have a trampoline at home? According to the American Academy of Pediatrics, trampolines result in about 100,000 emergency room visits each year. Many children are injured by crashing into others on the trampoline at the same time as them, or falling on the mat or springs around the trampoline. However, more serious injuries including damage to the skull or spinal cord are more likely to occur while using a trampoline. Using a trampoline is more likely to lead to injury, and the use of trampolines by children poses a significant risk to their health. 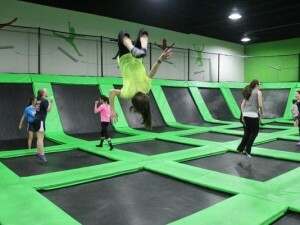 According to CNN, the recent spike in trampoline related injury is largely related to the growing popularity of trampoline parks in the United States. More and more of these wall to wall trampoline filled rooms are popping up all over the country. A study conducted by the American Academy of Pediatrics found that the number of trampoline related injuries rose from 581 in the year 2010, to 6,932 in 2014. 2014 is about the time when trampoline parks started gaining popularity. It can be concluded that the rise in trampoline related injuries is largely in part due to indoor trampoline parks. The most common types of injuries obtained at trampoline parks are sprains and fractures. The study also showed that those injured at parks were more likely to have injury to the lower extremities, while injuries from at-home trampoline use were more likely to involve the head. So park related injuries are more common, but often not as serious as injuries obtained from home trampoline use. Obviously, it is clear that using a trampoline, no matter what form, increases one’s chance of injury. It is possible that these results are due to chance, but again, that is very unlikely given the data and the results of the experiment. So, keeping the results of the study in mind, is it safe to have a trampoline at home? The study states that if there is a trampoline at home, safety measures should be implemented to ensure that nobody is injured. First, only one person at a time should use the trampoline, to reduce the risk of collision with other jumpers. Children should also use padding when jumping on a trampoline to ensure that collision with the springs or trampoline mat does not lead to serious injury. Finally, younger trampoline users should be under adult supervision at all times while using the trampoline. Hopefully, if people are smarter about how they use trampolines, the number of injures will lessen. Trampolines are fun, but not when a child ends up in the emergency room because of one. As they say, “It’s all fun and games until someone gets hurt”. This entry was posted in Uncategorized on October 20, 2016 by Madeline Dittrich. I myself have a trampoline at home and although no one has been hurt on my trampoline specifically, I have heard several horror stories about people breaking limbs by falling off of trampolines. My trampoline at home has netting around the side, preventing users from falling off. Could this perhaps be why we haven’t had an injury? Although trampolines are dangerous in other ways, I definitely think the netted trampolines are safer than those that do not have a net around them. This article: http://www.domijump.com/5-reasons-why-trampoline-safety-nets-can-save-childrens-life/ explains a few reasons why the net is something that should be included if you are looking to purchase a trampoline. Although this post made me upset as I love playing on trampolines, I found this blog very interesting. I always knew trampolines could be dangerous, but never thought about if it is worth it to pay on trampolines and risk a visit to the emergency room. I know, based on these studies, that parents will still claim that trampolines can be fun. However, if only one person can be on a trampoline at a time, children must wear padding to prevent serious injuries, and parents must watch over kids whenever they play on trampolines, children will lose the excitement of a trampoline. Personally, I loved trampolines because these exact restrictions were not in place. Unfortunately, you are right and the evidence does support that trampolines are dangerous. 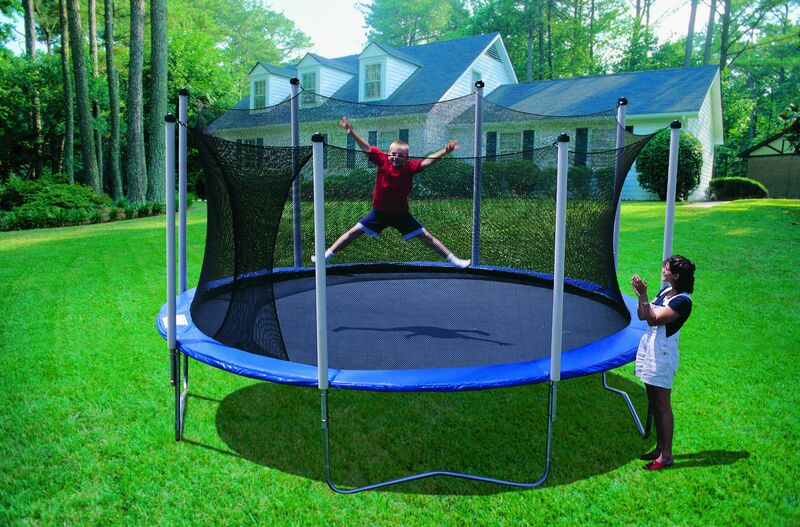 Nevertheless, there are safer trampolines being produced that can still allow kids to have fun. According to this article (link below), check out http://www.springfreetrampoline.com/ to buy trampolines that have removed 90% of the normal product-related injuries. Sorry, I forgot the link at the bottom. Please disregard my comment above. Wow, this is a very interesting post. I had never realized how many hospital visits were due to injuries from a kid-friendly device such as a trampoline. My mother didn’t allow my brothers and me to get a trampoline because she was afraid that we would break a bone or take a hard fall. When my neighbor got a trampoline in her backyard, however, all bets were off. I spent most of my time on that trampoline then I did in my own house. It was all fun and games until I watched my friend fall and fracture her ankle. That was the last time I had ever set foot on a trampoline. I always knew it was a dangerous activity, but this post and that experience has helped me understand the severity, in numbers, of these cases. Here is an article that discusses pediatricians’ reasonings against trampolines. This post is very relatable to me because I actually broke my ankle in 3rd grade simply walking around the trampoline. I simply rolled my ankle and It turned into a snap. I never actually realized how many hospital visits there are per year due to trampolines and it was scary to hear such a large number! Also, my friend’s cousin was at one of those trampoline parks where they’re on the walls and everywhere, and he fell wrong and broke his neck. Since then, he was paralyzed from the waist down. It really is a dangerous activity and should be carefully followed by the rules. Similar to the other comments, my parents never let me have a trampoline and rarely let me go on my cousin’s whenever I went to my aunt’s house. I never understood why they thought it was so dangerous until reading this post. I did some more research and found this article (http://www.usatoday.com/story/news/nation/2014/05/07/home-trampoline-hospital-visits/8820793/) which shows a crazy amount of people who are injured from trampolines. I found this post very relatable due to the fact my mother always banned a trampoline at my house because of the high risk of injury. I wasn’t too surprised when you stated that the rise in trampoline injuries accompanied the rise in trampoline parks. A bunch of hyper kids bouncing off the walls and ceiling is asking for trouble. You made a great point when you said that trampolines can be much safer if the users are more careful. This NBC news article highlights a lot of the dangers of trampolines with younger children and offers even more tips to prevent injury. Wow, this is so relevant to me, because I have actually worked at a trampoline park called Get Air. To answer your question, yes there is a huge difference between at home trampolines and trampolines at trampoline parks. At such parks, there are rules and regulations to help prevent such serious injuries, but there is no stopping anyone from doing the worst at home. Maybe your study can also look into how trampolines affect the inside compartments of our bodies, as besides outside cuts and burns, sprains, I have seen many ligament tears in the knee and ankles. Here are some personal anecdotes and dialogue that can further defend your conclusion: http://meredith.worldnow.com/story/25358685/serious-injuries-mounting-at-trampoline-parks. I feel as if your study compares well to the emergence of pools. When at home pools started to get more available, it correlated to a higher number of yearly drownings. Everything comes with a danger, just a matter of what is most important for a person, and they may take the thrill over safety. My mom never let my family put a trampoline when I was a kid and it definitely aggravated me and my two sisters. As I got older I finally realized why my mom didn’t let us get one. After hearing of friends twisting ankles, breaking foots, and even falling off I knew the risk wasn’t worth it. I even know of an older trampoline that completely collapsed and a girl broke her leg. I wish your study described the percentage of injuries at fun, supervised trampoline places like Sky Zone and the amount of injuries of kids who are unsupervised on their own, older trampolines.